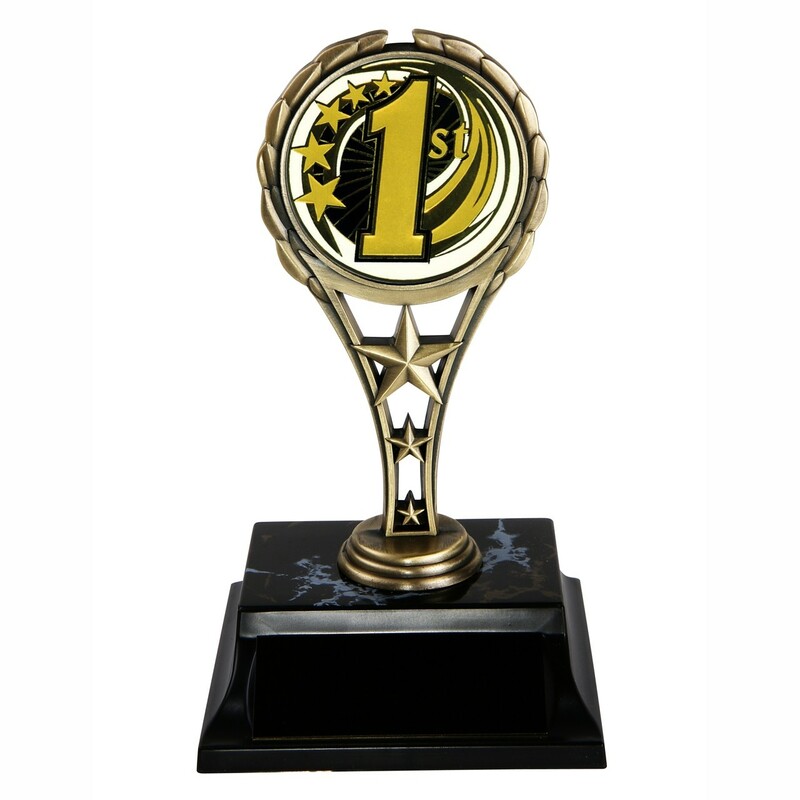 Everyone loves a 1st place score, but your recipient will love it even more after receiving this Metallic 1st Place Award! A shiny '1st' is highlighted atop a strong metal stand attached to a simulated marble base. With expert diamond tip engraving, this award has a high-class retro feel all are sure to enjoy!